Search "tacit" 4 results have been found. Genesis Tacit M is a sleek, pouch-style bag that fits your small DSLR or mirrorless camera with a kit lens, 8-inch tablet and some small accessories. Genesis Tacit L is a light and comfy bag designed especially for carrying photographic cameras; rest assured that its discreet design will not attract any unwanted attention. 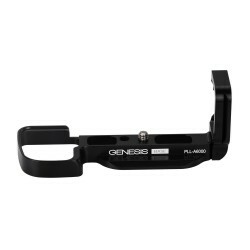 Genesis Tacit S is a light and comfy holster for carrying mirrorless or compact cameras.